The High Court in Jinja on Monday sent to jail former aspirant for Bulamongi Constituency Member of Parliament, FDC’s Simon Muyanga Lutaaya. 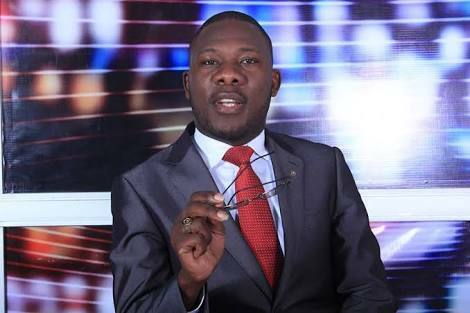 The vocal Journalist has been sentenced to six months in Kirinya prison for failure to pay court costs of Shs153 million arising out of an election petition. 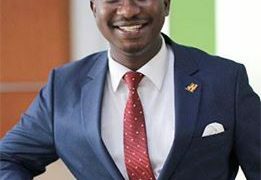 Mr Muyanga hosts a number of talk shows on NBS Television, prominent among which is One on One with Tamale Mirundi, the flamboyant former presidential advisor. Mr Muyanga Lutaaya speaks to journalists through the prisons bus window on his way to jail on Monday. Mr Muyanga filed an election petition contesting the ruling National Resistance Movement party (NRM)’s Kenneth Lubogo’s victory but he lost both cases at Jinja High Court and Court of Appeal. In January , Jinja High Court deputy registrar, Mr Jesse Byaruhanga issued a warrant of arrest after Muyanga allegedly failed to honour court summons which he (Byaruhanga) describes a contempt of court. According to the warrant of arrest, Muyanga is supposed to be arrested, sent to Kirinya prison and his property attached to recover the money. He lost the first case in Jinja High Court on August 19, 2016 and on November 22, 2017 he lost the second in the Court of Appeal.